Click on API, then on the API Tab. There is a Publishable Key that is visible and a Secret key that is not. Click the Reveal live key token tab. Copy these as they will need to be pasted into the Merchant Facility. In Salesforce, return to the Merchant Facility. In Classic, click on the "+" at the end of tabs. Click into the Merchant Facility. Press GO button and edit. In Lightning, click on the nine dots (top left). Click into the Merchant Facility. Select All from the filter option. Click into and edit. 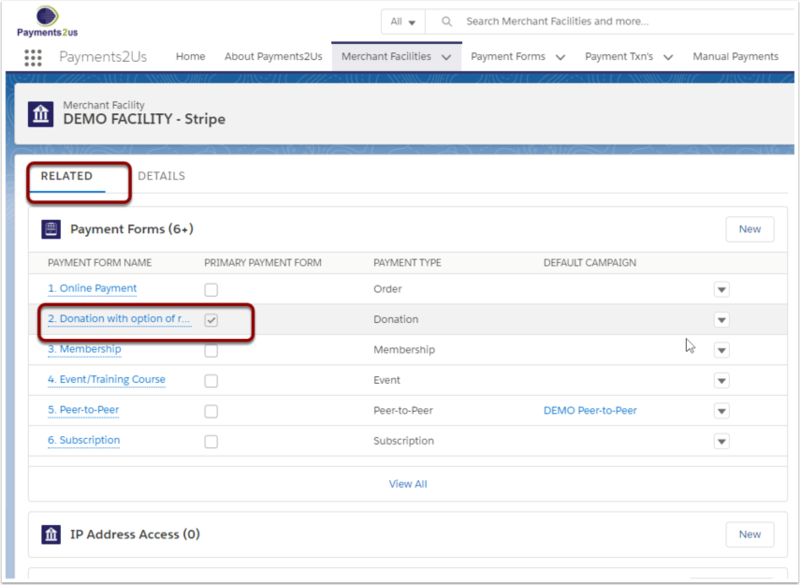 Select Stripe in the Payment Gateway field (1). If it is not available, it will needed to be added - See upgrade notes 6.1/6.2 if it has not been updated. Copy the Publishable Key into the UserID field. Copy the Secret Key into the Payment Gateway Password field. Change the Default payment Form to Modern. Click into Payment Gateway Metadata and select any field that are required. Webhooks provide the ability to further ensure the transactions status is correctly stored in Salesforce. They are also used to update Metadata elements to enable reporting in Stripe. 3. 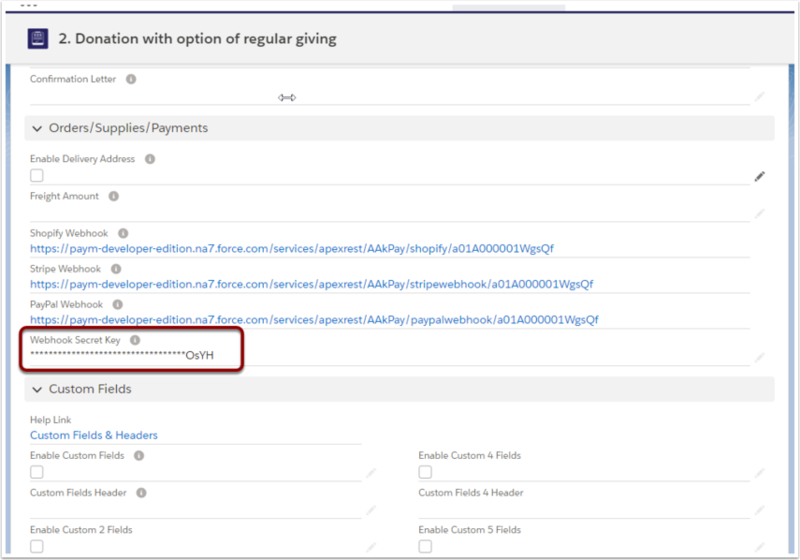 Click the primary Payment Form name from the related list (Do not click edit next to the name). 4. Scroll to Orders/Supplies group and copy the link from the Stripe Webhook field. 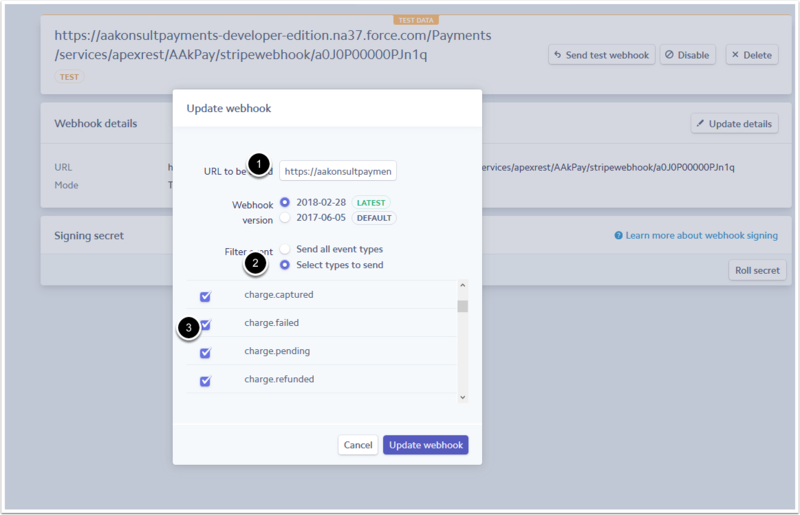 Note: If the field does not appear on the Payment Form, edit layout and add the Stripe Webhook field. 7. Scroll down the menu on the left, and click API. Then click the Webhook tab in the middle. Paste the Stripe Webhook link (1) from Salesforce in Step 4. Select Select types to send (2) - and select the type you require. Click Add Endpoint button to save. Do NOT select charged.updated. This can caused an endless Webhook update loop. Stripe is now available as a payment gateway option for Payments 2 Us. 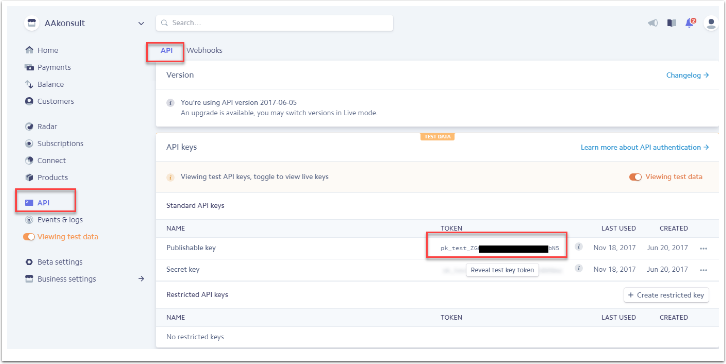 Follow these steps for setting up Salesforce Webhook in Stripe and adding the Stripe credentials in Salesforce. 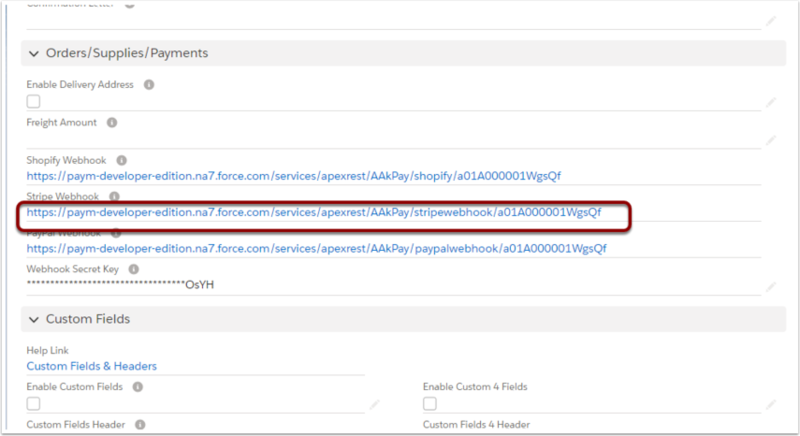 In Salesforce, navigate back to the Payment Form in Step 4 in the Stripe Webhook Setup section of this guide.